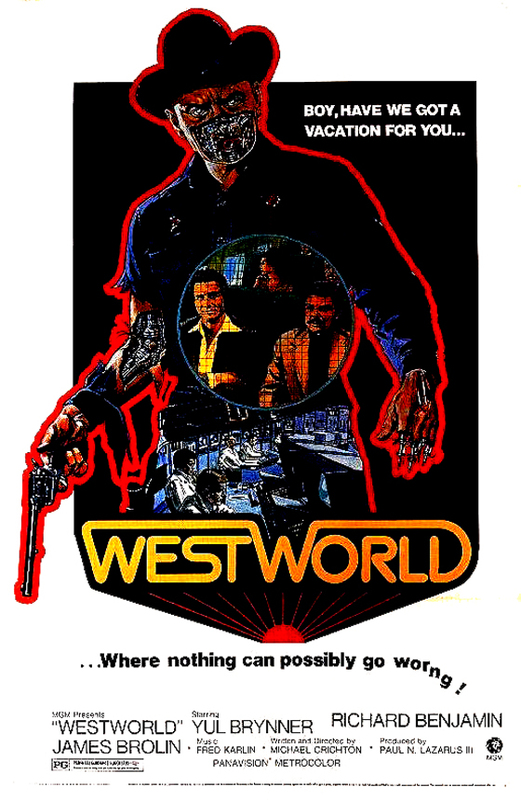 I wonder how closely the 2016 HBO series, Westworld, advertised as an hour-long, dark odyssey, will follow the Michael Crichton 1973 classic starring Yul Brynner and James Brolin? In Crichton’s film, robots flood the park and guests sin with no consequences. Within the complex theme park visited by the wealthy who choose to indulge their fantasies either in a toga lounging in Roman gardens; as a knight or lady cavorting in a medieval castle; or as a root’n – toot’n cowboy in the Old West, murder is permissible. Underground labs manipulate and control the robots. Or do they? White-coat scientists and technicians monitor and repair the robots programmed with one command–to serve the guests who live out their fantasies without moral or legal ramifications. To those who can afford the $7,000 a day price tag, they buy the freedom to indulge in the seven deadly sins with no worries. If this sounds like a quasi-Disney World/Las Vegas hedonistic theme park to you, you wouldn’t be far off. 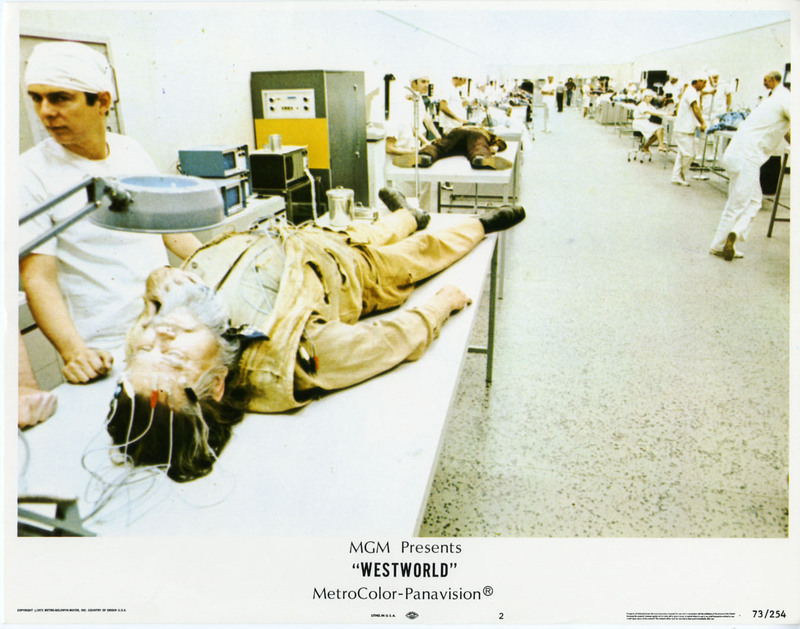 The low-budget, 1973 Westworld plays out this science fiction scenario without the gore–just great special effects. With a PG rating, the techno-horror story builds suspense by the creepy performance of Yul Brynner, the first terminator, the A.I. gunslinger who stalks guests John Blane (James Brolin) and Peter Martin (Richard Benjamin). Michael Crichton will replay this theme supplanting robots with dinosaurs in his 1990 masterpiece, Jurassic Park. Pixelization in film began over forty years ago with a two-minute perspective of the robot in Crichton’s Westworld. I enjoyed the story behind the birth of digital effects in David Price’s article, “How Michael Crichton’s Westworld Pioneered Modern Special Effects” in THE NEW YORKER. It can be difficult for some to watch science fiction in television and film created decades ago. Delivering the future is problematic; most old films representing a hi-tech world look silly through today’s lens. The future is now, and it is easy to pick apart inaccurate predictions and label the production design as juvenile. I avoid this by considering the ethical issues presented. In this case, “What is real and what rights will A.I. have?” It’s a popular theme in science fiction, no doubt because we’re on the brink of the A.I. breakthrough. What do we imagine our world will be like forty years from now? Most likely, today’s technology will seem quaint. Perspective is everything. 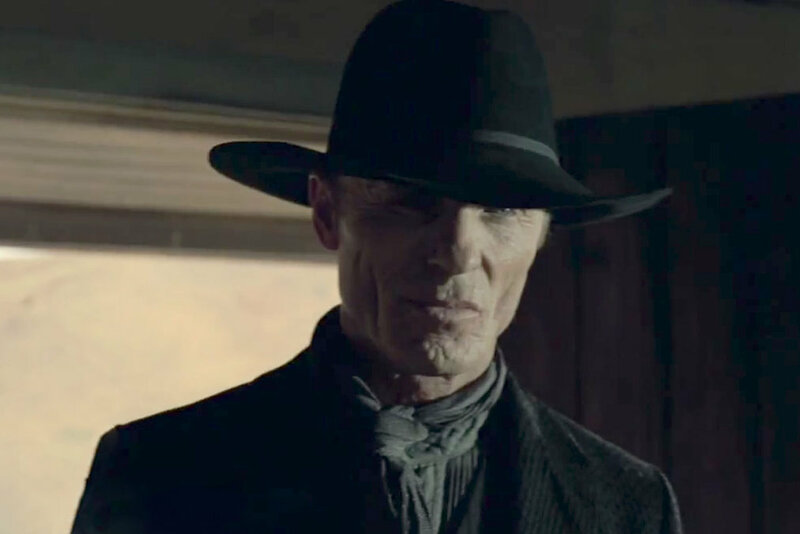 Ed Harris, as the 2016 stone-faced gunslinger. It’s almost 2016, and the story has a new life in the medium of television. HBO television. I doubt it will carry a PG rating this time. I imagine this version will be a hybrid with a dystopian feel like The Walking Dead combined with the sexiness of Game of Thrones. The principle cast includes Anthony Hopkins, Ed Harris, Evan Rachel Wood, and James Marsden. Chris Nolan’s brother, Jonathan Nolan, serves as executive producer/writer/director. I haven’t seen his crime drama, Person of Interest, so I can’t comment on his abilities. With J. J. Abrams‘s stamp on the project, I suspect audiences will love it or hate it. I like the looks of the setting, the cast–love Evan Rachel Wood–so, I will check it out, and see if it sticks with me. In fact, Jim’s brother is prop-master on the show; maybe I’ll get lucky and get to visit the set. What are your thoughts about the 1973 version and next year’s series? Me,too. I’m curious how Ed Harris will be…. I’ll have to make an effort to see the movie before the series comes out. The 2016 teaser looks interesting. It could be fun. It has a strong cast, let’s hope the script is interesting. I love the original 1973 movie. Not a great film per se, but like its premise and deliciously black humor. Brynner was fabulous (he was obviously making fun of his role in The Magnificent Seven). Last time I checked, it was a feature with Arnold Schwarzenegger. I’m not sure what happen to that project. I didn’t know about the TV show. Okay, I’m allergic to Abrams and Nolan, and I’m not a fan of HBO, so I don’t know what to think. Thanks for the update. Hi Eric, well sounds like a recipe for disaster for you. I like Abrams more than most so I’ll give it a go and hope fir the best. Love the ’73 film, but not its sequel of a few years later. The ’73 film still resonates with me. Me, too, Kate. Saw it a couple of weeks as ago. The tunnel chase scenes were truly suspenseful. I liked the ’73 version. I would like to see the 2016 version. See how the two era’s compare. I like Ed Harris too. I was a fan of Yul Brynner’s. Even remember his last tv commercials about anti-smoking. Thank you, Dash. I love the special effects of creating the robotic, detachable face. We’re pretty close to this reality (?) right now. If not past it. Virtually we can do it already. And we’re certainly well past the moral questions. We’re so close in fact, the boundaries of illusion and realty – killing and not killing – are being crossed every moment. As far the movie is concerned you’re right – despite it’s Star Power – pretty well a B grade movie. Though entertaining. Also we must wonder why this exact theme wasn’t re-done already – as it’s definitely not been exploited in what can be said through it. ?? And I always a bit why Brynner took this role? Was he out of work? Money? *shrug* Maybe he just liked it? Hi JC, lots of questions 🙂 which is why I love science fiction. As far as Yul goes, probably a little of all the above. I do know his costume in Westworld was almost identical to The Magnificent Seven. Why not enjoy the iconic stature from M7 and bring it forward to Westworld? He was the perfect gunslinger/robot; his typically chiseled, expressionless face was terrifying to watch when his eyes glowed and he changed his green hue. When the face came off–lovely stuff. I’m looking forward to the series, but the movie was great. They have to work hard to beat it. I agree. I suspect the special effects will be dazzling albeit CGI magic is less impressive than old-school effects. I think it will feel more realistic — really, it boils down to how good the script is. Crossing genres– science fiction and western is an interesting contrast. I wonder if they will have the Roman and Medieval world. Hi Ashley, my favorite part was the tunnel chase. I wish the original expounded upon the gunslinger more. It was a chase scene and that’s about it. There were a couple instances when the robot flinched or appeared to be considering his situation. I hope the newer version plays with that perspective in the narrative. I saw that recently in the film ‘Ex Machina’ and liked the robot’s view more than the human. I assume Evan Rachel Wood’s role will be that of a robot who grapples with her existence. She is a sensitive actor who can do the role justice, I believe. Hi, Ms. Mutant, welcome. I revisited it a couple weeks ago and liked it. — Notice how James Brolin looks just like Christian Bale — A fresh, technological update is in order. I just don’t want it to be CGI laden. Abrams can be melodramatic, and a little is good, but well, it has to have a vision and an overarching plot that’s believable. We shall see! John, you are a cynical man, today, and your POV is probably correct–the industry is a business after all. And, it will be hard to create something interesting and exciting to watch especially as a television series. Remember when X-files was truly fascinating for the first couple years? I’m wishing this one the same luck. It really will come down to the script as everything else looks in place. Not sure how they can improve or expand on the original but, if someone can, JJ’s a smart choice. Hi Tim, ha ha, yes, I see Michael Myers in that way, too. The contrast between horrific stress connected to a dispassionate killer –wearing a mask– taps into a love of primal fears, yes? I feel that way about mannequins and clowns. They scare the heck out of me. Clowns – yes I’m with you on them (creepy vile buggers). I think the Twilight Zone made me see mannequins differently though. Perhaps in a more sympathetic light. And yes, a dispassionate killer might be the scariest kind – like a shark. sorry it took so long to reply to your outstanding comment, my computer has been zapped by lightning and I’m trying to make do in a haphazard fashion. Anyway, you raise great points. I’m impressed your 9 year old grand is making robots. I saw this “predict the future” on Discovery channel, and it seems so foreign and scary to me. What history has taught me is that every civilization experiences the worry about the breakdown of society and if you dive into the pool of cynicism, you can talk yourself into an early grave. 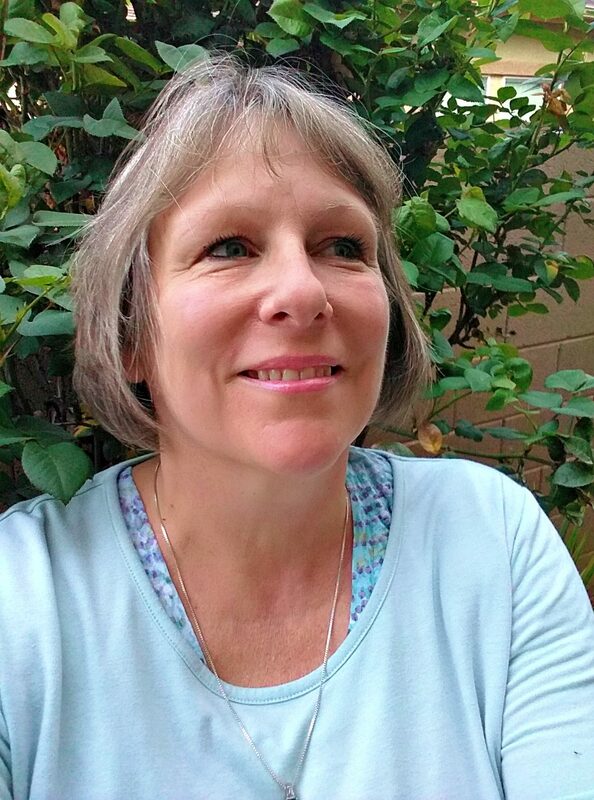 I’m not a Pollyanna, just living (great compared to previous generations, with my first world problems) my life trying my best to serve others and hold on to values that seem to have vanished. But they are there. There are good people everywhere doing great things. I gave up thinking years ago humanity would “evolve” we’d learn the lessons of the past, there would be no more war, etc. It’s the same story since the beginning of time, just a different setting. We rise, we fall. We dodge, we get hit. We suffer, we die. Okay, enough. Thanks for commenting! I have to say I’m very intrigued by the trailer for Westworld. I’m normally not into Westerns but Sci-fi Westerns sure sounds intriguing! I love Ed Harris too, so it’s definitely promising! Hi Ruth! I’m going to give it a go. I don’t have HBO, so will have to maneuver around that obstacle. Stream it somehow. Anyway, I’m curious how they will elongate the story line into a full series. I don’t have HBO either, but I usually catch up w/ shows much later once it’s on Netflix or Amazon. Yeah, this one looks really good! I hope! I love smart scripts–I don’t know much about Nolan’s brother who’s writing the script to know if it has potential. Oh, he co-wrote the Batman films w/ Chris, so he’s definitely a good writer. I didn’t realize Jonathan Nolan’s involved, now I’m even more intrigued by this. Don’t subscribe to HBO or invest in many series but it sounds intriguing. I too like that cast. Hi Keith, have you seen the 1973 film? I think you would like it. I don’t have HBO so usually have to wait a year before I can rent it at the library. The only series I follow is House of Cards which is smart and fascinating. Let me know if you like the Yul Brynner film! See, I think I have a long time ago but I can’t remember. I may be confusing it with something else though. I know you like Crichton and Jurassic Park. Same premise–theme park gone awry. I will be curious to see how today’s technology deals with the futuristic park of Westworld. Did you like Ex Machina? I think it will be rather like that. I actually didn’t see Ex Machina. Even with the huge buzz it didn’t attract me. I liked the movie enough to see it a few times, but will avoid the series,as i detest television. the cast, as you pointed out, does look appealing though. as for special effects, they always look silly to me. even 2001, when it came out, looked as cheesy as anything i saw in the 1950’s. if there has been any improvement in special effects over the decades, i am blind to them. the dinosaurs in the silent version of the lost world look more real to me than those in jurrasic park. Hi Bill, not surprised by your answer. I’m glad you like the original well enough. I’m cynical when it comes to television, too. House of Cards is good enough for me. It’s smart. Others I don’t really follow. This one has me curious than usual because I know someone who works on the set, so it personalizes the series. I’m hoping for the prop master the series isn’t a sham. When I saw the original film, I was 21 years old, and thought it was something fresh and different. The last time I saw it (on TV, about two years ago) it seemed dated, and a little silly at times. Age changes perception, that is undeniable. I live in England, so won’t have the chance to see the HBO series. I am not sure that I would watch it if I could, although Ed Harris always appeals to me. I usually feel updates on movies in remakes at least have newer technology. Sometimes stereotypes are diminished between people, men and women along with cultures. I will look forward to 2016 version, Cindy. I really want to see the movie now, you’ve got me intrigued Cindy. Hi Vinnieh, thank you for stopping by! I think you will like it. I’ve never seen the original film (and I can’t say I’m in any rush to) but very intrigued by the upcoming series! i really need to watch this again as it’s been years. wasn’t there also a sequel called Futureworld? yes, Futureworld is not that good in comparison. It’s a fun watch. Brenner wearing his Magnificient 7 costume and his stony face is priceless. While the 70s was inferred the eroticism, I suspect, and your post confirms, that it will be just shy of pornographic. Sigh. What’s so bad about subtlety? Tis true. I’m curious, just the same.